Get that BBQ feeling all year round with the Rustlers BBQ Rib. This flame grilled rib is made with the finest quality pork and dished up with a sachet of delicious, sweet BBQ sauce. Awesome. I miss the McRib. I really do. 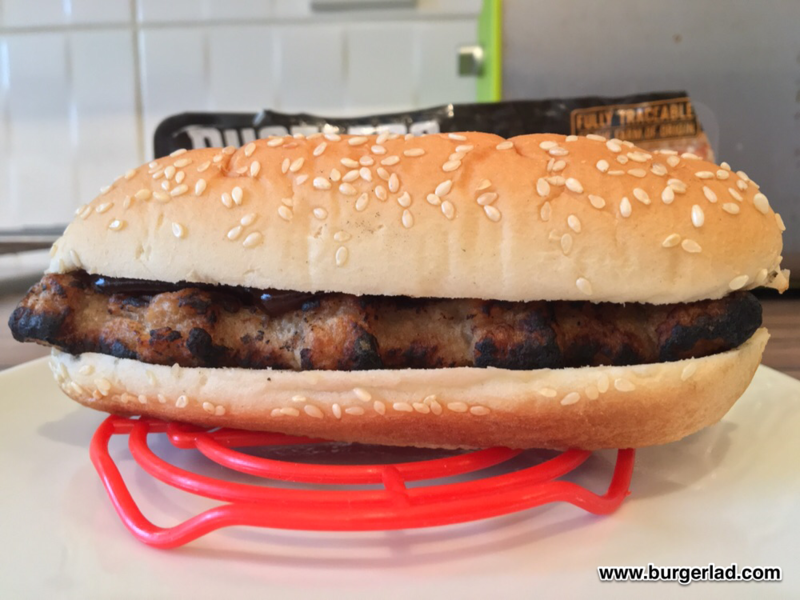 So much that I have decided to scratch that McRib itch by reviewing the Rustlers BBQ Rib. Before you start turning your noses up at the brand, you cannot deny it does have its fans. Kepack should also be applauded for creating a safe (late night, post pub) snack environment – no oven/grill/hob being left on accidentally! I must admit my fear of losing any remaining credibility (if there ever was any) by reviewing the BBQ Rib. 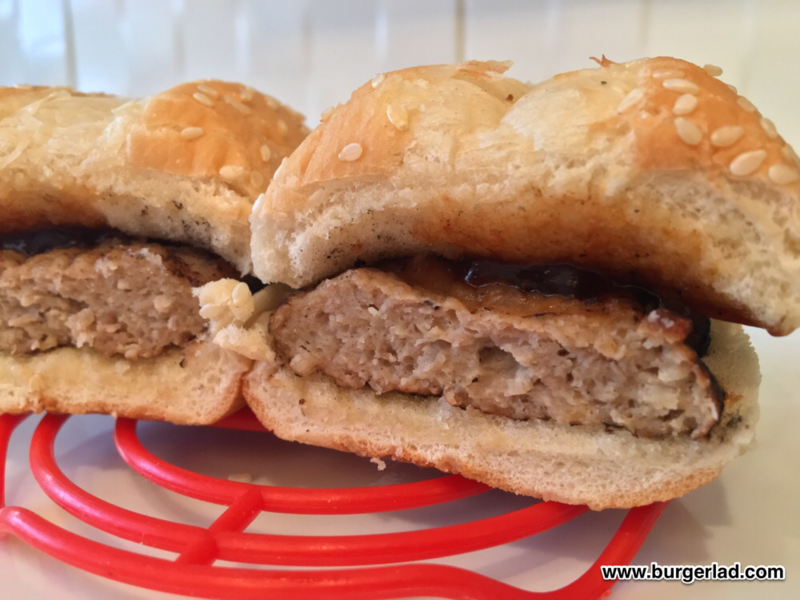 I’d like to think that having made my own (decent) McRib copycat recipe, people won’t think I am too much of a philistine running this through the BURGER LAD® review algorithm. Like I said… I’m starting to miss the McRib. 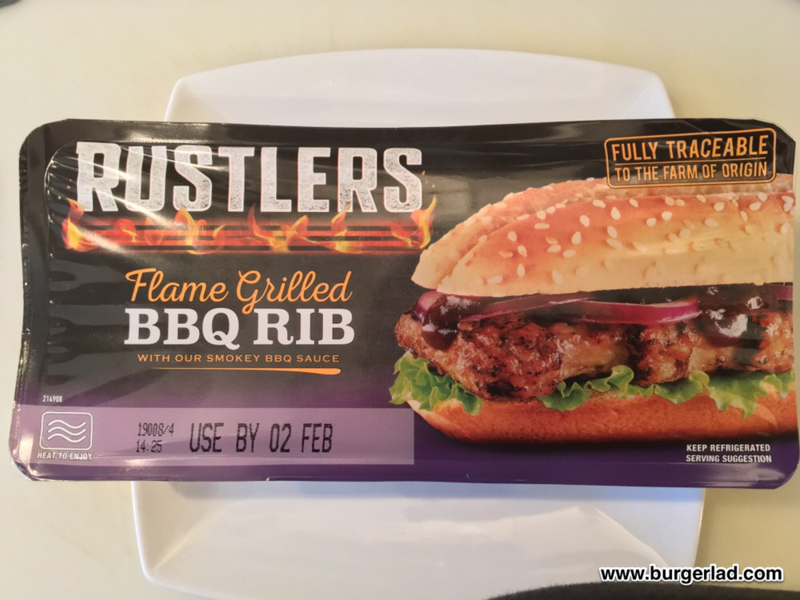 Rustlers’ serving suggestion for their BBQ Rib is adding gherkins, lettuce and red onion. 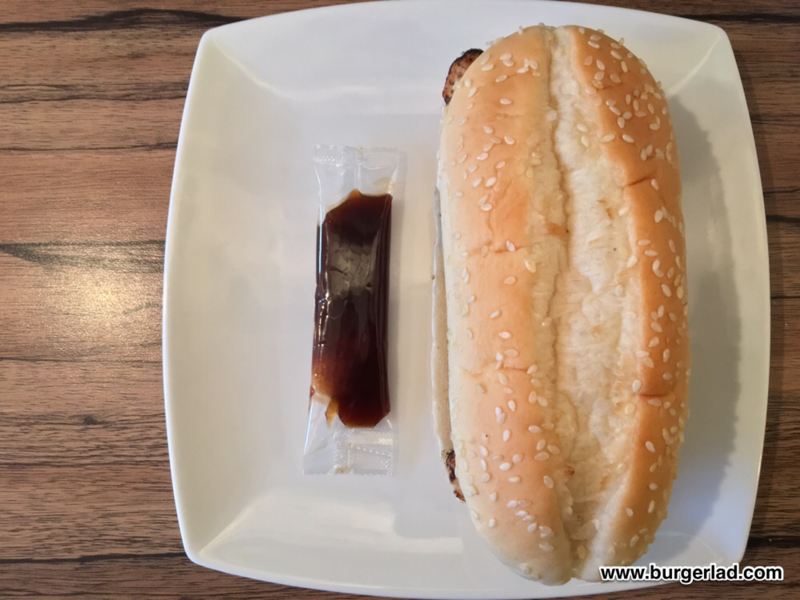 Inside, you have three elements; the oblong sub-style sesame seeded bun, chopped and shaped (BBQ seasoned) pork patty and a sachet of BBQ sauce. This normally retails at the recommended retail price of £2.00, but I picked this up (well hid amongst my regular shopping) from Tesco for a pound. 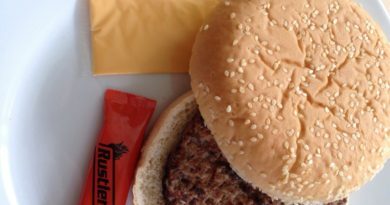 At 355 calories, the Rustlers BBQ Rib is 54 kcal over that of a standard (99p) McDonald’s Cheeseburger. So, price-wise it is good. Nutritionally, not too obscene. But the real question – how does it taste? After you get over the fear of microwaving meat and bread together you are presented with an unnatural smell, squishy bun and a reconstituted pork patty inside. There’s no denying that this cannot really be good for you. 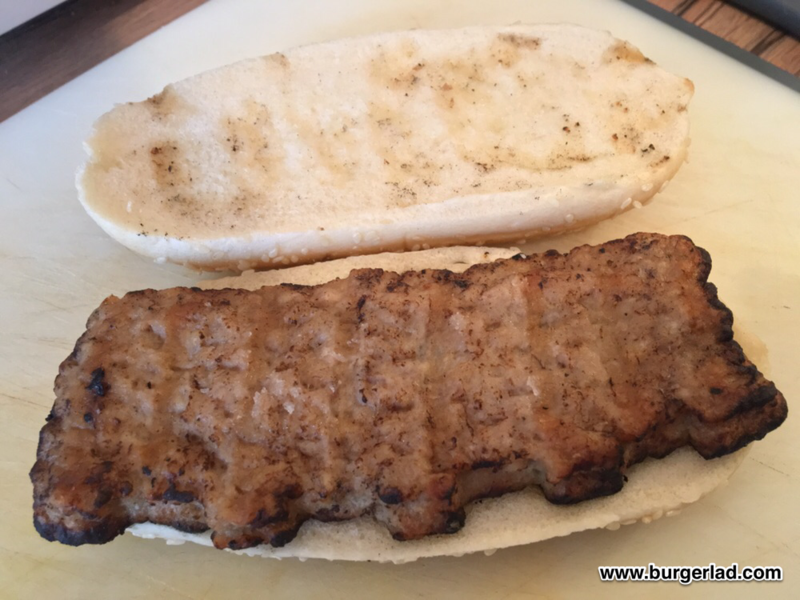 The longer you leave the BBQ Rib the more the bread starts to firm up. You (obviously) apply your own sauce and are at the end of getting 0 to Tasty in 70 seconds or whatever the blurb was from the marketing campaign… which is now over ten years ago!!! It’s not much of a looker, but what can you expect from a one-pound microwaveable burger!? The “cooking” instructions do suggest reducing the time by 15 seconds and toasting the bun – I was too lazy. 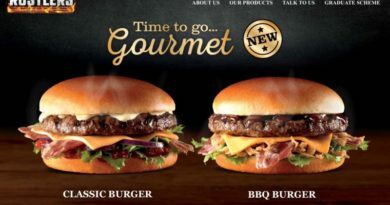 Biting in, you get an undeniably rich-ish BBQ sauce which helps mask the artificial flavouring of the patty. Once you get past the texture of the thing it’s not too bad. It’s not too great either. What I don’t like about this is the fake, flame-grilled flavouring. 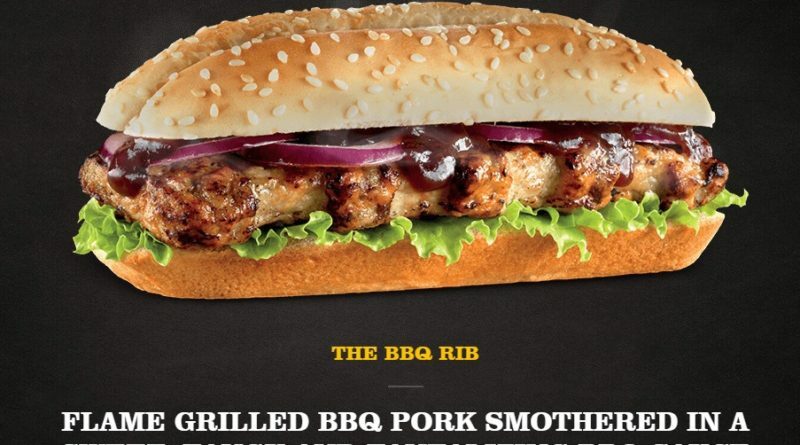 It might work on their beef products (that’s another debate) but I don’t think it is placed well for a pork product trying to imitate the McRib. The predominant flavour is (obviously) BBQ which is a commendable effort. On a side note, my son has been ill all weekend and on fluids only. He hasn’t eaten in nearly 48 hours at time of writing. What really concerns me about a product like this is the shockingly low price – what does that say for the quality? Not only that, the long shelf life of February 2nd (purchased 13th January) really scares me. You can probably attribute that to the list of E numbers on the back of the packaging – E325, E451, E392, E472e, E282 and E300. I haven’t looked any of these up, but as a family that cook 90% of their meals from scratch this is a concern. Looking past that though, the Rustlers BBQ Rib is not a bad effort but certainly not a patch on the fabled McDonald’s McRib. Did it scratch that itch? Not really. But I knew deep down that it wouldn’t. For £1 it is worth a try once if you can get over the fear of microwaveable burgers, but I would imagine for most of our readers it is an easy pass. E300 is vitamin C, so watch out for that one! The last Rustler I bought had ‘SHERGAR’ stamped on the patty which was a touch worrying.